I am not a fan of New Year’s Eve. I’ve never been a fan of New Year’s Eve. So, I was delighted to see such an apt quote on my social media feed today..being the last day of December, the last day of 2017. 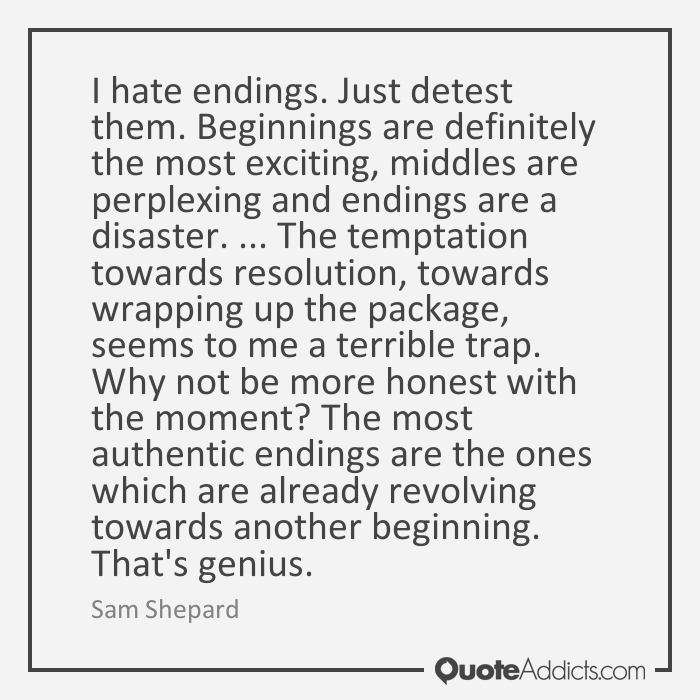 Like Sam Shepard, I detest endings….but perhaps it is simply that my perception is faulty.